New Delhi: “A strong woman loves, forgives, walks away, lets go, tries again, and perseveres- not matter what life at her. Be a strong woman. 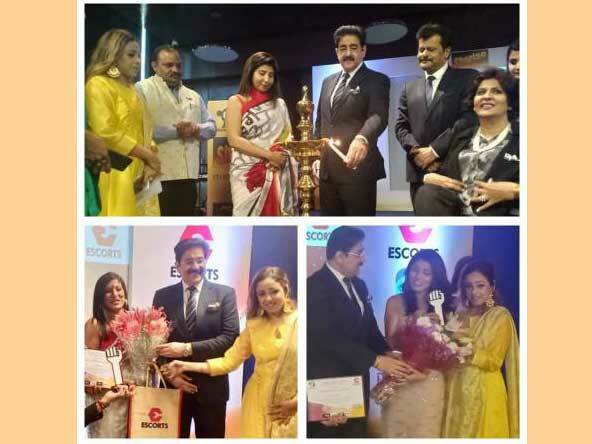 So your daughter will have a role model and your son will know what to look for in a woman when he’s a man,” said Dr. Sandeep Marwah Chancellor of AAFT University of Media And Arts at the conference organized by a voluntary organization SHERISE at Hotel Le Meridien. “We are lucky to have a great international personality- Sandeep Marwah-The Global Cultural Minister to support and motivate us at our conference. His presence has elevated our ideas and vision of the association,” welcomed Amana Singh the president of Sherise society with an aim to work for the upliftment of Women. Dr. Marwah presented Sherise awards to nearly 30 workingwomen who all have done extra ordinary well in their life. Marwah also invited all the achievers to be part of Radio Noida and MSTV to voice out their achievements under International Women’s Film Forum. Janice Darbari Writer & Consul General of Republic of Montenegro, Dr. Shivani Dentist & motivational speaker and Padam Shree Deepa Malik Sports person were the other speakers of the Day.